Click on the image of the book to the left to open this interactive book by Scholastic about Harriet Tubman! 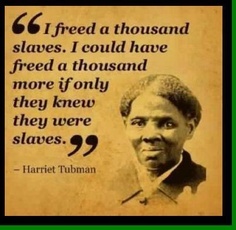 Learn more about Harriett Tubman! Click on the image to the right to learn more about Harriet Tubman at America's Story! Make sure to view the images and the timeline on each of the three slides! Click on the image below to navigate to Scholastic's interactive website called, "The Underground Railroad; Escape from Slavery." You will need to click on the Begin the Journey arrow to start. Make sure you click on each sound icon and read along as each section is read aloud to you. Click on the image to the right to navigate to Scholastic's Interactive On-line map. Make sure to click on each symbol to learn more differences between the Union and the Confederacy! Agent- Coordinator, who plotted courses of escape and made contacts. Baggage- Fugitive slaves carried by Underground Railroad workers. Bundles of wood- Fugitives that were expected. Stockholder- Those who donated money, food, clothing. Click on the image to the left to navigate to a Scholastic Interactive On-Line Activity to Write a Secret Letter just like an agent of the Underground Railroad would have! Keyboarding Challenge: Can you accurately type a copy of the script below in Microsoft Word using proper keyboarding techniques? To make viewing the document easier, you can download the PDF version (see below the preview), print it out, and set it at your work station to look at. Remember, use your SpeedSkin keyboard covers! Please DO NOT contact me to solicit business. If you are a parent, educator, or youth leader, please feel fee to contact me.